Images of family may be a constant presence in contemporary life, but in the days before photography only the wealthiest had access to them. The British artist Thomas Gainsborough (1727-1788) created more images of his family than any artist before him—pictures of his wife, father, sisters, pets and most particularly his two young daughters—leaving a remarkable visual legacy that is both poignant and ahead of its time. Gainsborough’s Family Album gathers together more than 40 of Gainsborough’s depictions of his family for the first time in history, including 10 of the surviving portraits of Gainsborough’s daughters. The exhibition explores how these portraits not only expressed the artist’s warmth and affection for his family but also helped advance his career, from humble provincial beginnings to the height of metropolitan fame. In doing so, the exhibition demonstrates how Gainsborough reflected and helped shape new ideas of the family that endure today. Gainsborough’s Family Album is organized by the National Portrait Gallery, London, in association with the Princeton University Art Museum. Tracing the full arc of Gainsborough’s career through family portraiture, the exhibition draws from notable public and private collections from across Great Britain and the United States. The Princeton University Art Museum, where the exhibition will be on view Feb. 23 through June 9, 2019, is the only North American venue. 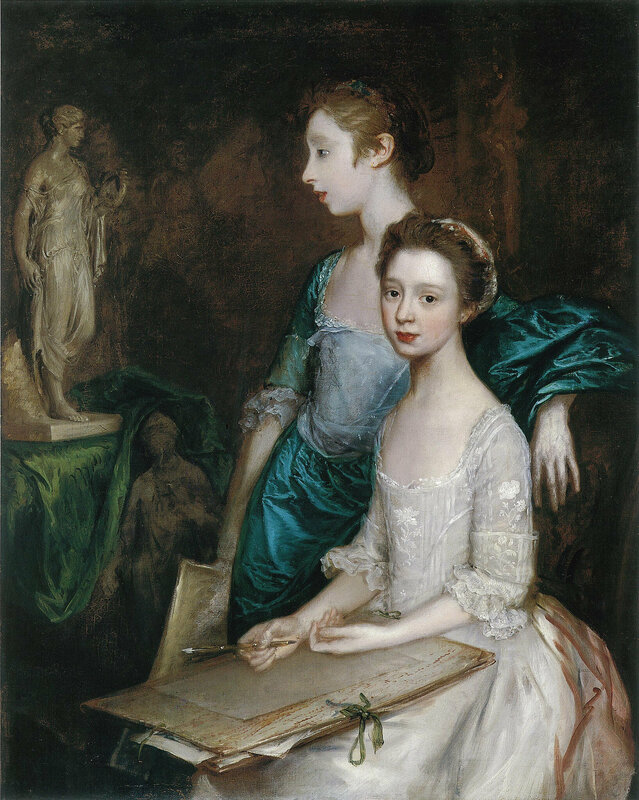 One of Britain’s most prominent and successful artists, Gainsborough was renowned as a portraitist of exceptional liveliness and subtlety, whose fashionable sitters appear to have deftly stepped inside compositions suffused with remarkable effects of light, air and feathery materiality. From modest rural beginnings, Gainsborough rose to become one of the most acclaimed painters of the age, depicting royals, aristocrats and the changing nature of Britain itself at the dawn of the Industrial Revolution. Thomas Gainsborough (1727–1788), Painter's Daughters with a Cat, c.1760-61. The National Gallery, London. Bought, 1923. © The National Gallery, London. and a formal, full-length double portrait of the two from about 1774, which has never been exhibited in the United States. Featuring over 50 artworks from public and private collections across the world, Gainsborough’s Family Album will provide a unique insight into the private life and motivations of one of Britain’s greatest artists. The exhibition will include a number of works that have never been on public display in the UK, including an early portrait of the artist’s father John Gainsborough (c. 1746-8) and a drawing of Thomas and his wife Margaret’s pet dogs, Tristram and Fox. L to R: Tristram and Fox by Thomas Gainsborough, c.1760s. Private Collection; The Artist with his Wife and Daughter by Thomas Gainsborough, c.1748. The National Gallery, London. Acquired under the acceptance-in-lieu scheme at the wish of Sybil, Marchioness of Cholmondeley, in memory of her brother, Sir Philip Sassoon, 1994; Thomas Gainsborough by Thomas Gainsborough, c. 1758-1759. National Portrait Gallery, London. Together, these works document the girls’ journey to adulthood at a time of limited rights and opportunities for women. Another highlight is the artist’s virtuosic portrait of his nephew and apprentice, Gainsborough Dupont, which represented in part Gainsborough’s desire to elevate portraiture as well as the continuity of his artistic legacy, since Dupont was intended to carry on the family business. These images will be seen alongside self-portraits, a portrait of the artist’s father, canvasses of his siblings, in-laws and other relations and two images in which the family dogs seem to stand in for the artist and his wife. Taken together, these works tell a compelling story of family intimacy and fatherly concern, community, the passage of time, artistic evolution and even mortality unique in the history of art. 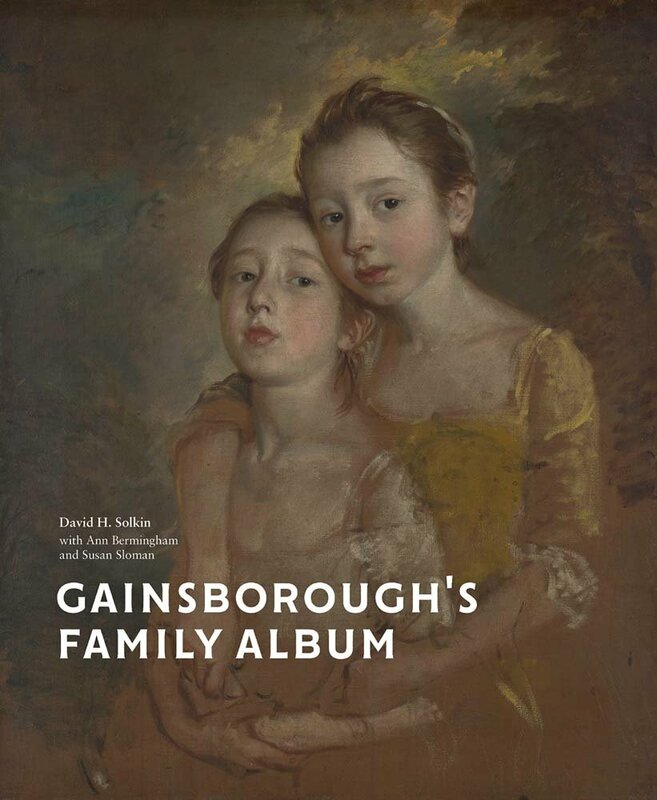 Gainsborough’s Family Album is accompanied by a fully illustrated catalogue published by the National Portrait Gallery, London. It includes essays by exhibition curator David Solkin, emeritus professor of the Courtauld Institute of Art; Ann Bermingham, professor emerita of art history, University of California, Santa Barbara; and Susan Sloman, independent art historian and author. The catalogue also includes a chronology of Gainsborough’s life and an extensive family tree. "I am sick of Portraits and wish very much to take up my Viol da Gamba and walk off to some sweet village when I can paint Landskips and enjoy the fag end of life in quietness and ease." 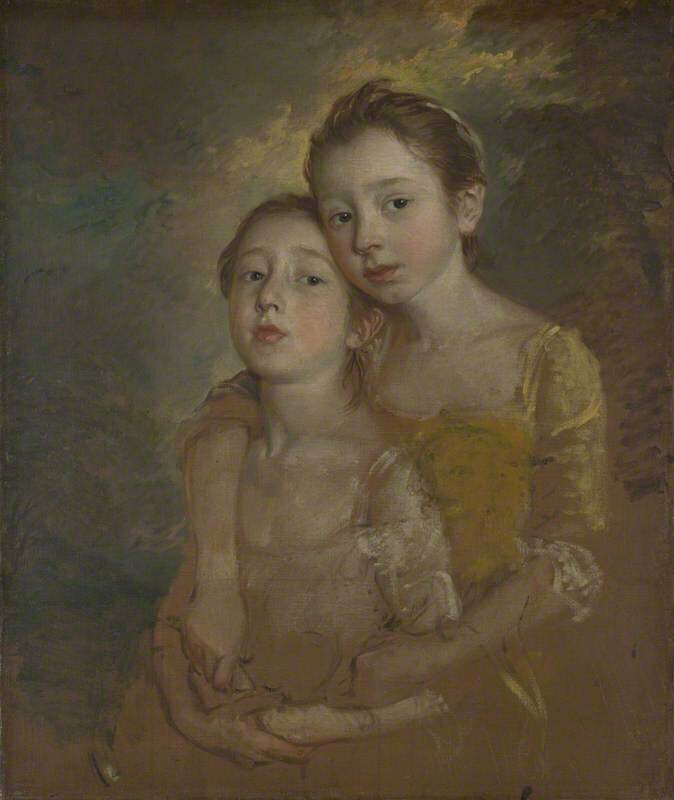 Despite this famous protestation in a letter to his friend William Jackson, Thomas Gainsborough (1727–88) was clearly prepared to make an exception when it came to making portraits of his own family and himself. This book features over 50 portraits of himself, his wife, his daughters, other close relatives and his beloved dogs, Tristram and Fox. Spanning more than four decades, Gainsborough's family portraits chart the period from the mid-1740s, when he plied his trade in his native Suffolk, to his most successful latter years at his luxuriously appointed studio in London's West End. Alongside this story of a provincial 18th-century artist's rise to fame and fortune runs a more private narrative, about the role of portraiture in the promotion of family values, at a time when these were assuming a recognizably modern form.